The CHIditarod Foundation is proud to announce our 2015 Grant Program awardees. This year the CHIditarod Foundation raised an incredible $25,000 for its grant program. The funds will be distributed in $5,000 increments to five Chicago-area 501(c)(3) organizations that are directly fighting hunger, making an impact on local food sustainability, and/or empowering individuals and communities through food education. We are thrilled to introduce the 2015 winning organizations! in support of their emergency food pantry program. in support of their meal and advocacy programs for those below the poverty line in Logan Square. 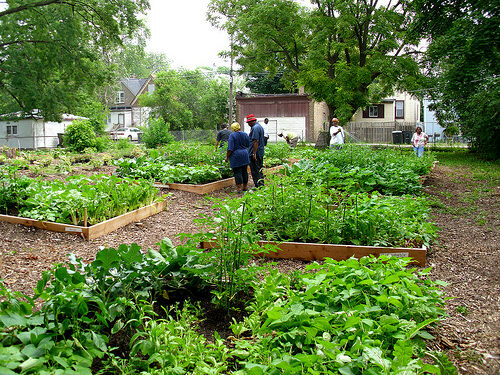 in support of two new educational garden projects in Chicago Public Schools. in support of their Englewood garden project expansion. in support of their Chicago Public School-based nutrition and food awareness educational programs. The CHIditarod Foundation is a 501(c)(3) nonprofit organization dedicated to solving the root causes of hunger through creative events and direct action. Our flagship event — The CHIditarod — brings together 1,000 people annually and has funded $70,000 in small grants for local anti-hunger initiatives since its inception. The CHIditarod takes place annually on the first Saturday in March. On March 7, 2015, CHIditarod celebrated its 10th anniversary with 650 costumed racers chasing their dreams of CHIditarod glory and making a difference in the fight against hunger. Since its humble beginnings in 2006, CHIditarod has raised more than 134,000 pounds of food and $145,000 in the fight to end hunger in the greater Chicago area.